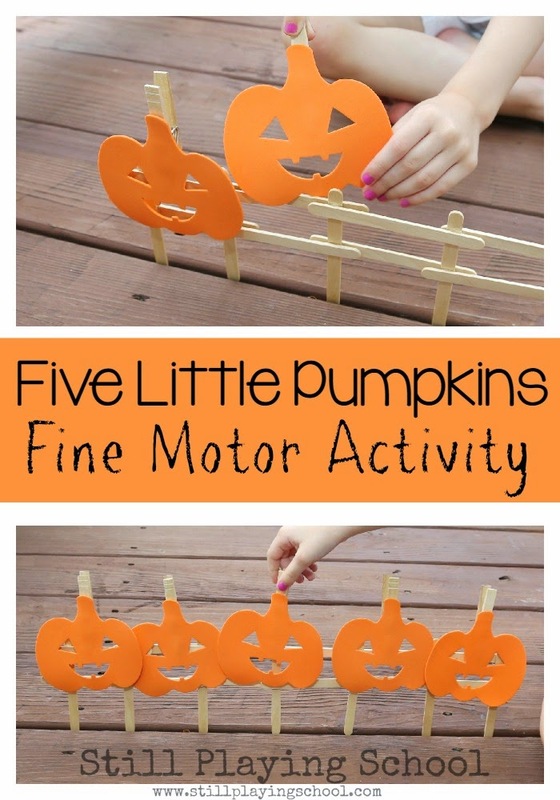 We love to practice fine motor skills through play! This Halloween activity was perfect for developing pre-writing skills while feeding the ghost. 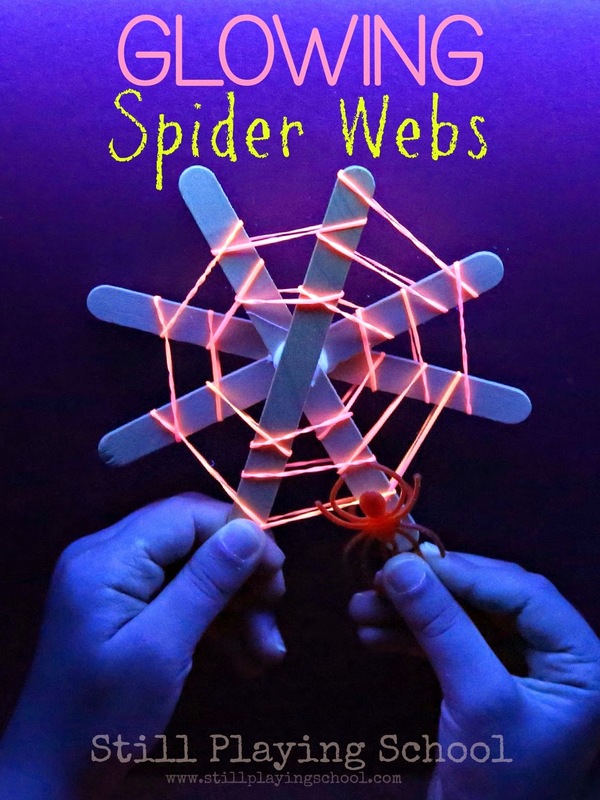 It was super simple for me to set up and the kids loved it! 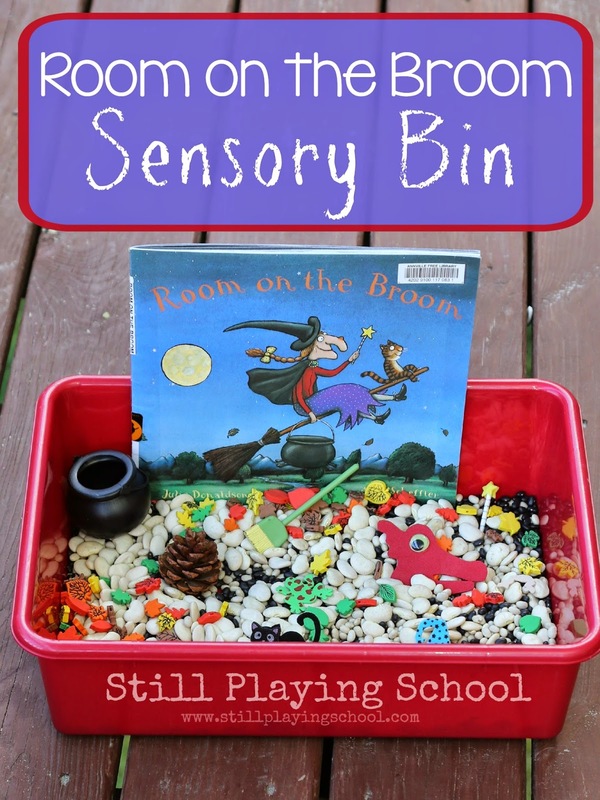 I almost didn't write this activity up as a post because it is so simple but then I thought I love simple. 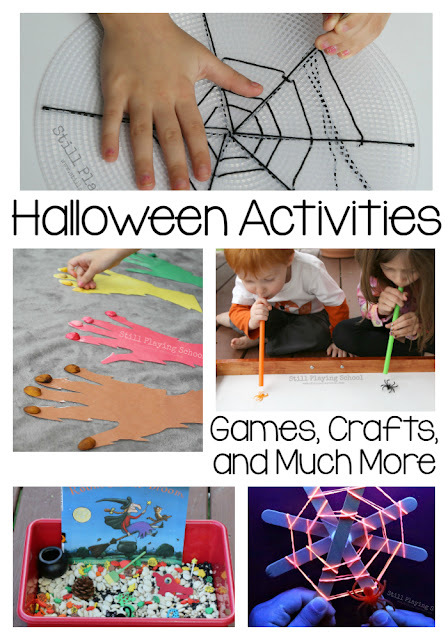 You, our lovely readers, love quick activities that are easy to set up. 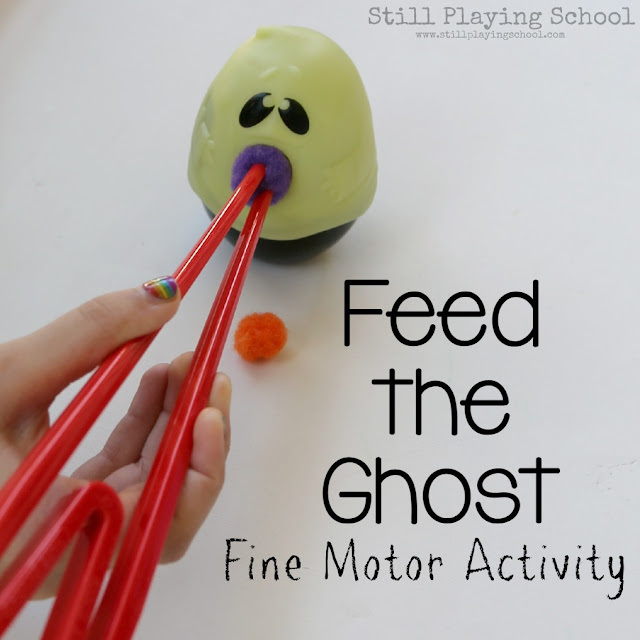 We tried this several years ago as a Christmas fine motor game. Our daughter loves it just as much now two years later! 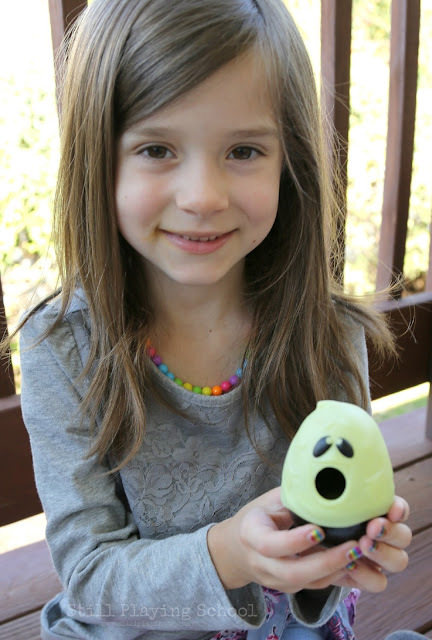 We found Halloween themed Skittles Twist & Pour candy dispensers at our grocery store. When you twist them the candy falls out of the mouth. 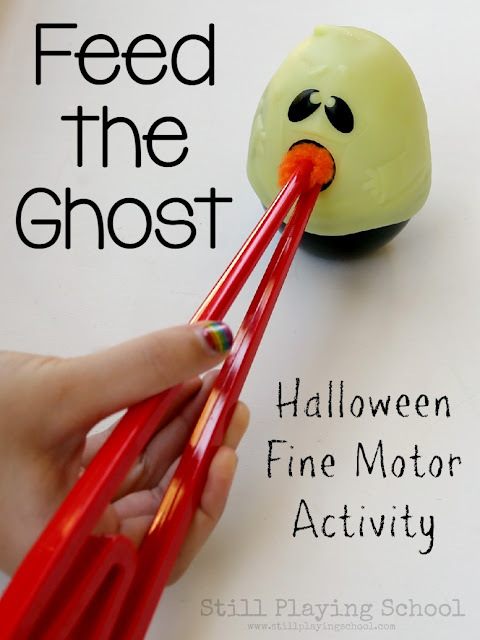 Once empty you can reuse as a fun fine motor activity! 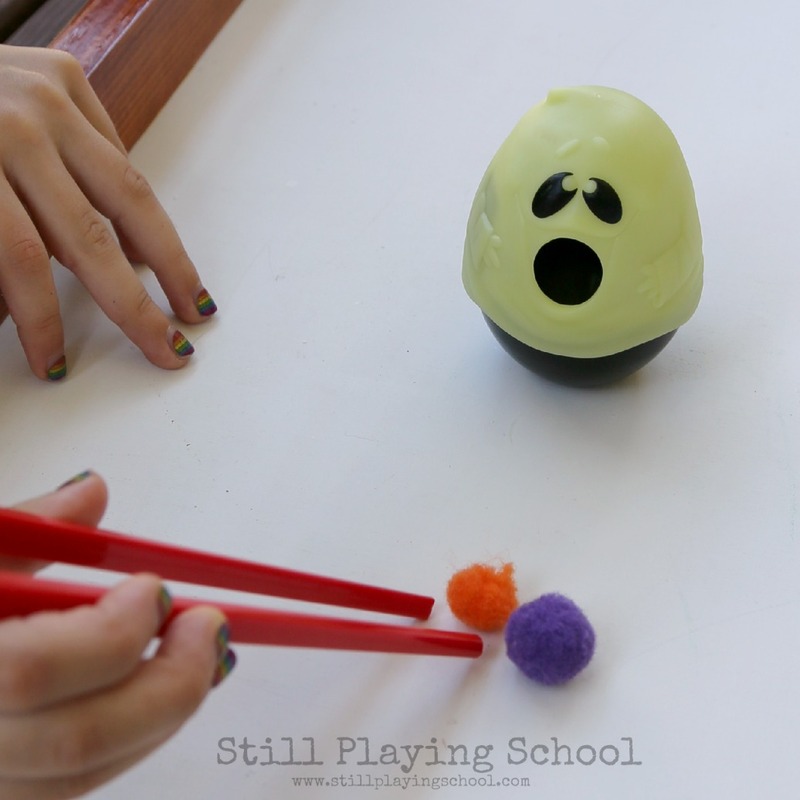 We added our favorite training chop sticks and pom poms. I challenged our kids to feed the ghosts with the chop sticks but you could ask a younger child to simply push the pompoms into the ghost's mouth as they practice their pincer grasp.